Chelsea boss Maurizio Sarri is hopeful that both Mateo Kovacic and Marcos Alonso will be passed fit for Wednesday’s trip to Wolverhampton Wanderers. The Blues sit in third place after their win over Fulham at the weekend, seven points adrift of league leaders Manchester City. With a busy festive period coming up, the last thing that Sarri needs is for injuries to strike his squad, but both Kovacic and Alonso had been struggling with issues, as noted by freelance injury analyst Ben Dinnery in his tweet below. Fortunately for Chelsea, Sarri suggested in his press conference on Tuesday that the pair have been given the green light to feature in midweek by the medical staff, and so now the decision lies with the Italian tactician as to whether or not they feature based on how they perform in training ahead of the encounter with Wolves. Although he has struggled to make a decisive impact in the Chelsea midfield so far this season, Kovacic has featured 17 times already this season to show how important he is to Sarri. With that in mind, the last thing that the former Napoli boss wants is to see the 24-year-old sidelined with an injury problem. It’s a similar story for Alonso, with the Spaniard making 16 appearances in all competitions. 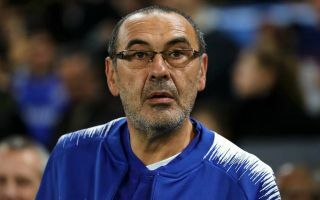 In turn, if either influential ace misses out, it will be a major loss for Sarri. Time will tell if they come through training unscathed, as ultimately they won’t want to be risked either as they could aggravate their respective problems.